Arcam slashes prices of Solo music and movie systems | What Hi-Fi? As manufacturers struggle with post-Brexit price increases due to the falling pound, Arcam is bucking the trend with price reductions on its Solo all-in-one systems and A-Series amplifiers. Here's a bit of pre-Christmas cheer: Arcam is cutting the prices on its Award-winning Solo Music system and A29 and A39 Class G stereo amplifiers. The Arcam Solo Music - Best one-box hi-fi system in our 2016 Awards - drops from £1599 to £1299, a handy £300 saving. And this is not just a temporary Black Friday week deal. Two Solo Movie systems also benefit from a price cut: the Solo Movie 2.1 is down from £1799 to £1499, and the Solo Movie 5.1 is now £1799, having previously sold for £2199. In addition, Arcam has just released the latest version of its MusicLife app - v1.3.1 - which brings internet radio and Tidal and Qobuz music streaming services to the Solo systems. There's more. Arcam has discontinued the five-star FMJ A19 stereo amp due to "component supply problems", and has reduced the cost of its newer Class G amps to make them more competitive. So the Arcam A29 is down from £999 to £849, while the A39 drops to £1249 from £1599. 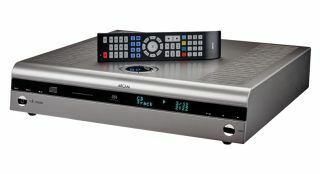 Despite an increase in component costs, the price of the Arcam CDS27 CD/SACD player/streamer remains at £699 and the Arcam UDP411 universal Blu-ray player is held at £799. In a separate development, Arcam has released a firmware update that brings DTS:X and DTS Neural surround sound capability to its AVR 390/550/850 AV receivers.